For many people, cooking an omelet is a daunting task they would rather avoid. 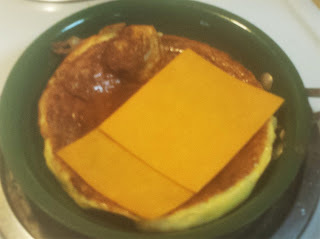 In this post, I'm going to show you how easy and quick it is to make a fluffy, beautiful, restaurant quality omelet. For many people, cooking an omelet is a daunting task they would rather avoid. 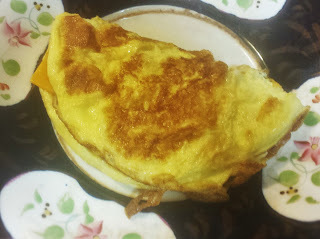 In this article, I'm going to show you how easy and quick it is to make a fluffy, beautiful, restaurant quality omelet. 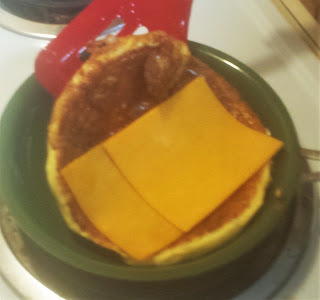 The truth of the matter is, is that with the technique I'm about to show you, you'll find that cooking an omelet is not only a pleasure but also as easy as making scrambled eggs. 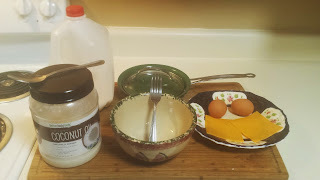 In this tutorial, I decided to keep things simple by making an easy cheese omelet. You can add whatever tasty ingredients to your omelet that you like. I also never add salt or pepper, in our house, we all love the taste of the eggs just the way they are. But you can feel free to add whichever seasoning you would like. Remember, this is simply a "how to," not so much a recipe. You will notice in the photo that I use coconut oil. I love cooking with coconut oil for many reasons. Not only is it one of the few oils that are all around amazing for the human body (coconut oil does not lose any of it's healing properties when heated at high temperatures), but it is also a clean oil. Meaning, there is zero flavor, and rather than making food too oily and greasy tasting, it seems to enhance the flavor of the food as well as the overall appearance. Some people insist on using margarine or butter; I strongly suggest using a clean oil. 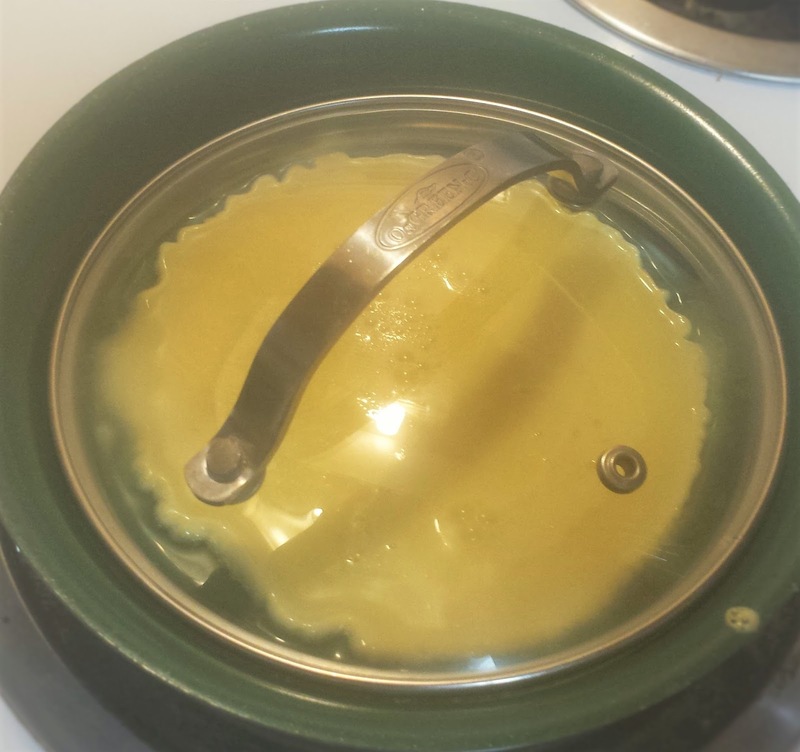 Oil cooks better, and it makes it much easier to maneuver an omelet in the pan. 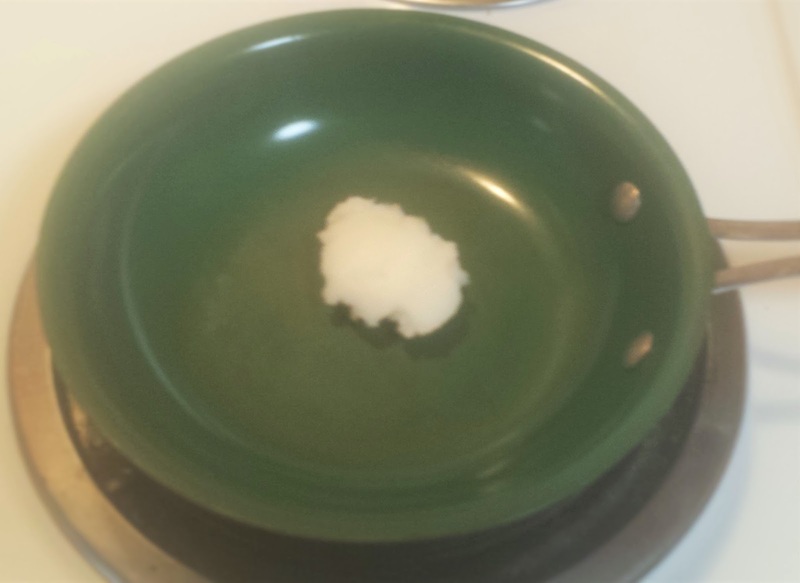 Turn the burner on Medium-High and add one tablespoon of coconut oil to the pan. 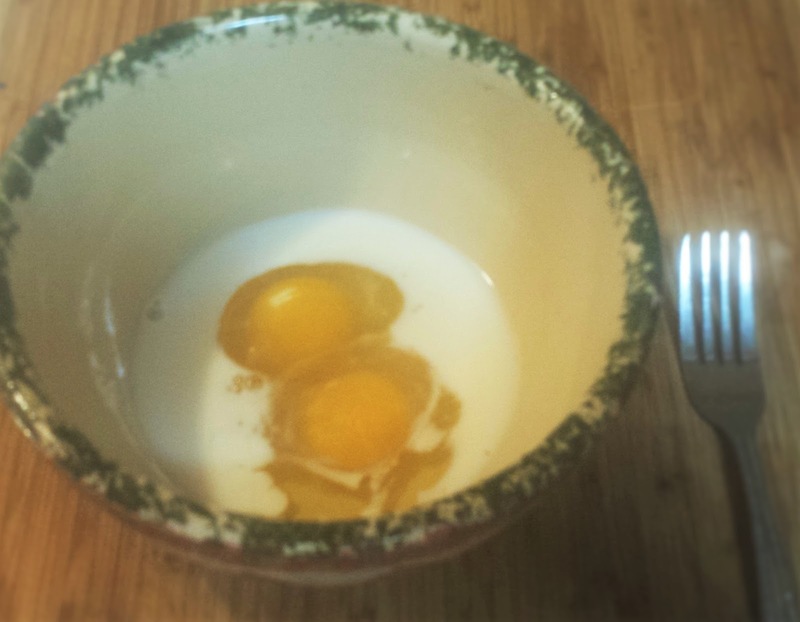 While you wait for the pan to heat up and melt the oil; crack both eggs into the mixing bowl. Add a generous splash of milk. I don't measure the milk; I pour it into the eggs until it looks like the photo to the right. Next, you will whisk the eggs and milk vigorously until it is extra frothy. You can tell you've frothed them well if you see a bunch of air bubbles. Now that you have whisked your eggs, it is time to add them to the heated pan. You can test your oil to see if it is hot enough by dropping a tiny drop of egg mixture into the pan. If the egg immediately begins to sizzle and cook, your pan is ready. 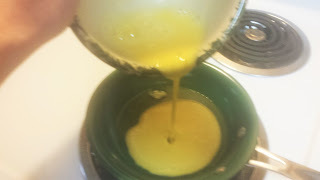 Once all of the egg mixture is in the pan; immediately cover it with the pot lid. 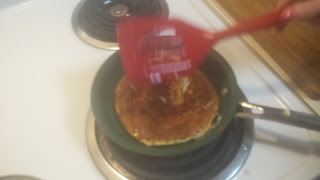 After approximately 3 - 5 minutes, remove the pot lid and gently run a spatula around the edges (a silicone spatula works best for this); this is done to loosen the omelet from the bottom and sides of the pan. 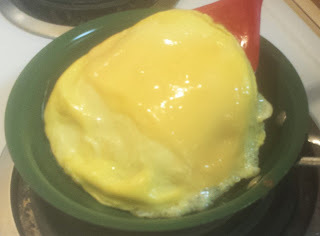 The egg will be watery on top, yet very fluffy overall. Once you've successfully loosened the omelet, allow the egg that had flown over the edges to cook for approximately 30 - 60 seconds. 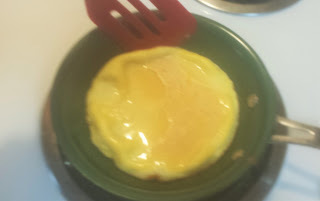 Next, carefully shimmy the spatula under the omelet until it is centered beneath the egg. In one quick movement, flip the omelet over. It will be nice and cooked. Turn the burner to "Off"
It is now time to add your cheese or other ingredients. Carefully wedge the spatula beneath one side and slowly fold the omelet over. Using the spatula, lightly press it down to be sure that the omelet is "sealed." 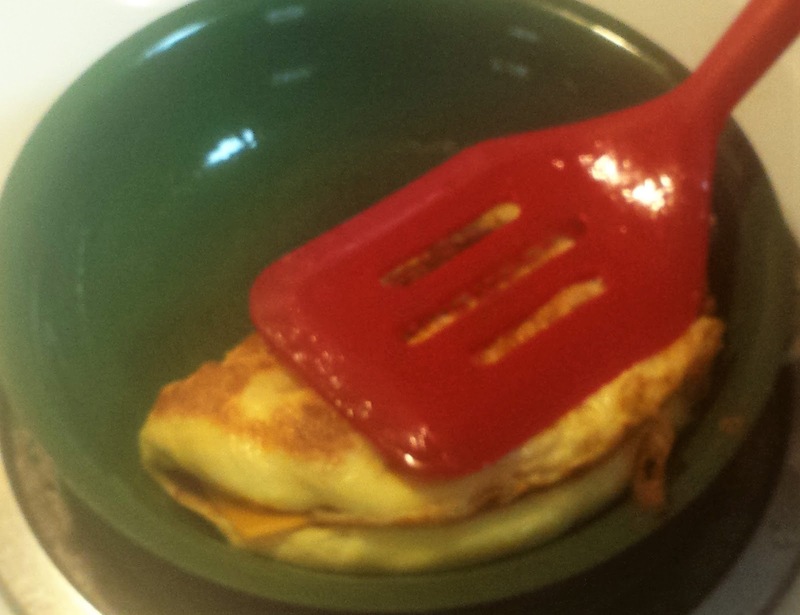 Lift your pan from the stove and gently slide your omelet onto your plate. Now it's Time to Enjoy! Congratulations on making your omelet! Remember, practice makes perfect. The more you make omelets, the more relaxed you will become, allowing the process to become easy for you. There are so many ways you can enjoy omelets. Now that you know the most efficient way to make one, it's time to experiment! Check Out Our Friend Peaches on YouTube! DISCLAIMER: This website and posts contain affiliate links, which means that if you click on one of the product links, I’ll receive a small commission. This helps support the blog.